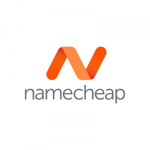 NameCheap is a domain registrar that provides inexpensive TLD’s and shared hosting. If you are looking to streamline your purchases by buying hosting and domains from the same well-established company, NameCheap might be the hosting solution for you. Starting a website is more popular than ever, and domain names are flying off the shelves left and right. NameCheap has been riding this trend nicely, and they do a good job getting their domain customers to purchase hosting with them. NameCheap offers some great features with the power of their large domain registrar database. 1) SSL Options: Having a Secure Sockets Layer (SSL) certificate for your site let’s your customers know that any transactions or data they give you is safe. That’s why companies like Google actually rank your site better if you have one. NameCheap doesn’t just offer SSL certifications they offer 10 different types of SSL’s to choose which one best suits your business. You’ll be able to choose from dozens of plans to prevent fraud from happening on your website or ecommerce shop while not overpaying for something you don’t need. There are also several validation steps that you can put your files through to ensure that you are safe and ready to hold transactional data. You’ll have access to a site seal to let your visitors know they are safe, top tier support, a high level of encryption of all data, and NameCheap’s SSL’s are recognized by all of the top web browsers. 2) SiteBooster: When it comes to launching a site, you’ll need a few things to succeed. A professional looking design, excellent content, products (if you’re selling), and a way for people to get in contact with you just to name a few. Although, if you have these things set up correctly, it doesn’t guarantee that you’ll have people visiting your site. To do that you may need some help and that’s exactly why NameCheap offers SiteBooster. This is an app available with their hosting service that helps you spread the message of your business online. You can list your site on the major search engines like Google, Yahoo, and Bing as well as other business friendly services like Yelp, Foursquare, and Twitter. SiteBooster offers one interface to control how all of the data in your listing goes out to these search engines. This simple way to manage your image online, is only $4.99/mo and is a great option to help you get the word out the right way when launching your new business websites. 3) BriefMetrics: There are several things to keep track of in regards to website maintenance. You’ll want to track malware, updates, and other things to make sure your site is functioning well. Although, an important set of data to keep track of is how people are interacting with your website. Things like traffic, conversions, bounce rate and others can help you configure your site for better sales, and gain even higher traffic. Briefmetrics is an app from NameCheap that provides detailed reports to webmasters to help you keep an eye on how people go through your site. There are other services that keep track of data, but Briefmetrics will send you a summary report of your analytics to help you decipher what the data means for you. The app is $80/year and will help you cite potential problems and improve the overall condition of your user experience. No phone support offered by NameCheap, but you can submit issues through their ticketing system or via live chat. If you value a 24/7 on call support staff, you might need to look elsewhere (or consider a top rated hosting company like Siteground or InMotion). We looked over different online sources to find out what users were saying about Namecheap. We found customers were happy with their pricing and features. Not all reviews were positive however. We also found some Namecheap users frustrated with the reseller and cloudflare hosting. 1) Money Back Guarantee: NameCheap offers a 14 day money back guarantee however sales of dedicated servers and add-on products are final and non-refundable. 2) Uptime: There is an 99.9% uptime guarantee. NameCheap uptime monitoring is available in an app for free from their marketplace for your site. 3) Large Datacenter and Network: Multiple datacenters are located across the US with each having fully redundant key systems, including network, power, climate control and security. 4) Whoisguard: Free for the first year and after for a small fee, it is designed for domain owners to keep your confidential information private. 5) FreeDNS: NameCheap offers a free DNS servers that is compatible with supports A/AAAA/CNAME/NS/MX/TXT/SRV DNS record types. 1) Renewal Prices: Renewal Price are much more expensive than the initial sign up price. However, unlike other hosts, NameCheap does clearly state these increases. 2) Limited Support: NameCheap does not offer phone support, only online chat and through a ticket system can you get help. 3) No Extras: None of the hosting plans offer bonus marketing credits such as Google Adwords, Facebook credits, or Yahoo credits. Namecheap is a great option for anyone who wants the simplicity of getting a good deal on their domain name and hosting from the same place. The plans are a great value and the domains are inexpensive. The hosting plans aren’t the most intricate, but are decent enough for smaller sites. Although, if you’re looking to have a host that is focused on keeping your files online more than selling .com/.net/.orgs you may want to look around a little more.